Correct timing is of the essence and this is when understanding Machite and Kakete comes in. If your timing is off, the enemy can adjust his movement and intercept you. A feint or tactical move is good to draw, force or freeze to stop your opponent from intercepting you. What it means? Your movement should have Sente. Initiative. 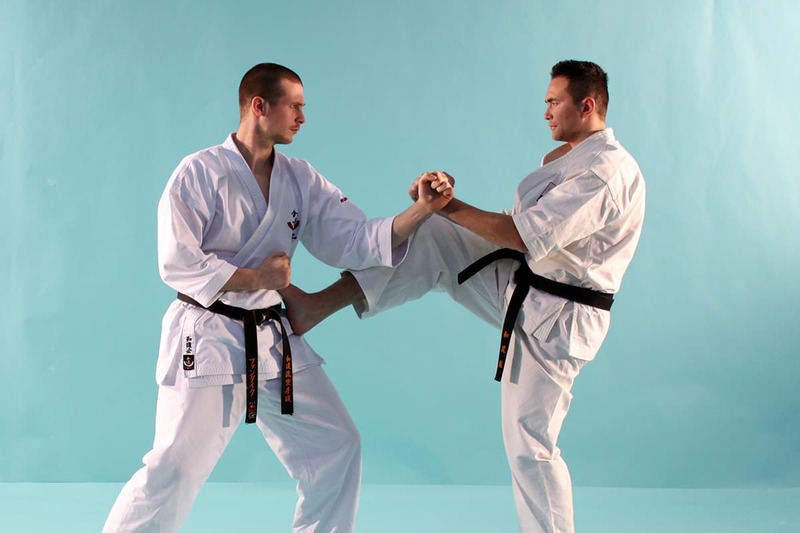 If your karate does not have Sente, then this means that your karate is a passive and has a waiting shape. Sente is active and continuous. Machite and Kakete contain a total of 3 types that I explain in detail below. There's ONE thing important to realise. And that affects ANY of the moments you execute: Mindset. Mindset should ALWAYS be to ATTACK. Yes, also for Go No Sen (in fact that may be the most crucial one to pull it off). Go No Sen is one of the Machite. You should receive the attack with the intention to attack. So, put Ukemi in a weak position and counter immediately afterwards. You should also act before the opponent has regained his strength and launches his second attack. 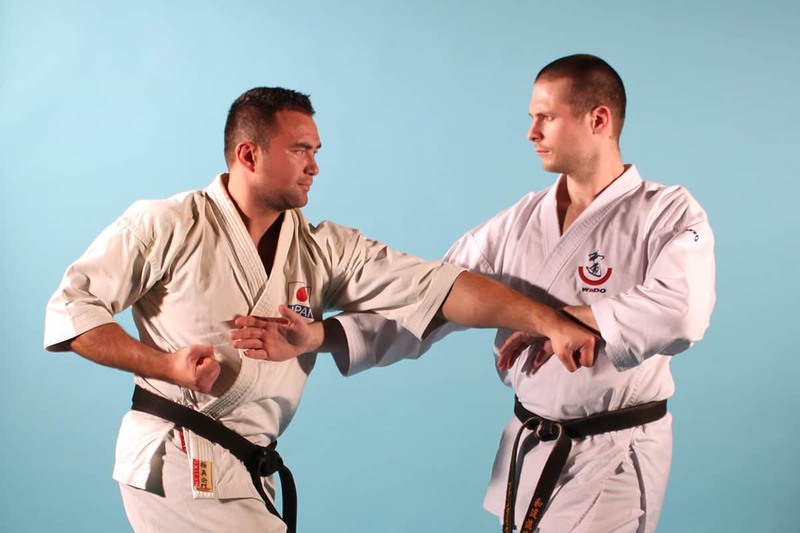 As in Maegeri Uke, after performing Uchi Harai Uke, execute Gyakuzuki before Uke regains his balance. Ideally, counter attack after the first attack. It may occur however that the opponent has the chance to attack, attack and attack. Even if there are five attacks, when the opponent finishes his last attack - counter attack him before he starts all over. 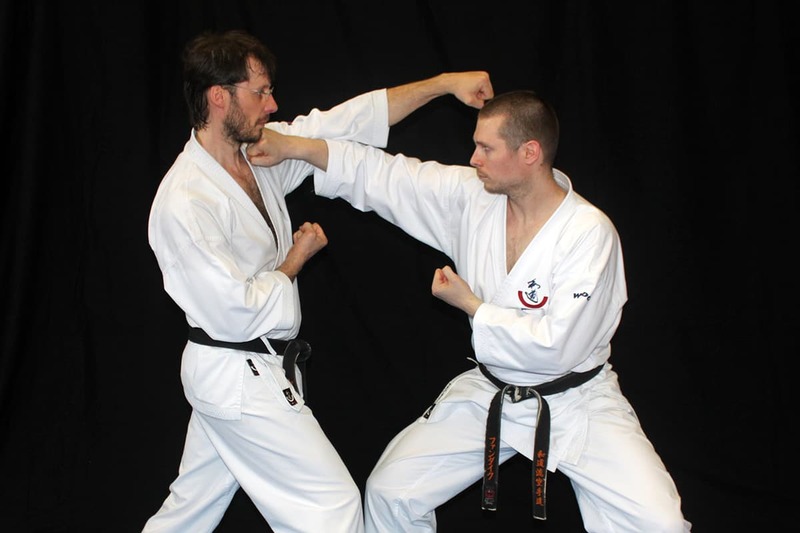 The principle of Sen No Sen is to receive the attack and attack the opponent at the same time. An example of this is Kihon Kumite Ipponme. The whole of receiving and delivering blends into one movement, this is a Machite. Attack and defence at the same time is called Ko Bo ittai. Of course, you can do both at the same time with one arm as well, like tsuki uke. For your timing to be sen sen no sen, deliver your attack when your opponent starts his attack. Actually you have to attack when your opponent has committed to his intention. You have to read his mind in order to know when your opponent will attack, of course ideally force or draw the attack. In other words, you have to sense his intention and read his body language. Take advantage of his suki. You can only use this kind of timing if you possess Heijoshin and with a lot of experience. If you manage without these you are probably just lucky.